Viewers watching the season finale of The Walking Dead were treated to two surprise trailers regarding Halo 5: Guardians, the latest chapter in the saga of the Master Chief. Microsoft’s 343 Industries aired two versions of the Halo 5: Guardians trailer, one week after launching a website called Hunt For the Truth. The Hunt for the Truth website features audio episodes from a fictional journalist and war photographer named Benjamin Giraud, who is investigating the Master Chief’s background. There was also a teaser trailer featuring a bullet with the word “TRAITOR” on it, indicating that the UNSC was considering the franchise’s biggest hero a traitor. The two new trailers feature two perspectives of two different sides of a story. The first trailer is called The Hunter’s Story and features Spartan Jameson Locke, who was introduced in the Halo Nightfall webseries, tracking down the Master Chief, mentioning that the Chief should be viewed as Earth’s savior and not its betrayer. Spartan Locke was featured in the prologue and audio logs of Halo 2: Anniversary, shown working with the Arbiter and attempting to track down the Master Chief. The other trailer focuses on Master Chief and is called The Hunted’s Story, telling Locke has he completed his mission but that the Chief’s mission is just beginning. What could it all mean? The advertising of two sides having one story indicate that Halo 5 will likely be a split campaign with the player playing both Master Chief and Spartan Locke. Excluding Halo 3: ODST, which had the player playing multiple members of an ODST squad, this would be the first main series Halo game where you play someone else (aside from Master Chief) since Halo 2, where you played as Chief and the Arbiter. A fairly new magazine called the Arm Chair Empire has a whole page on the game and its potential and expectations. A relevant read for anyone anticipating the release. If you haven’t upgraded from an Xbox 360 to the Xbox One yet, you better start saving up in time for this fall. 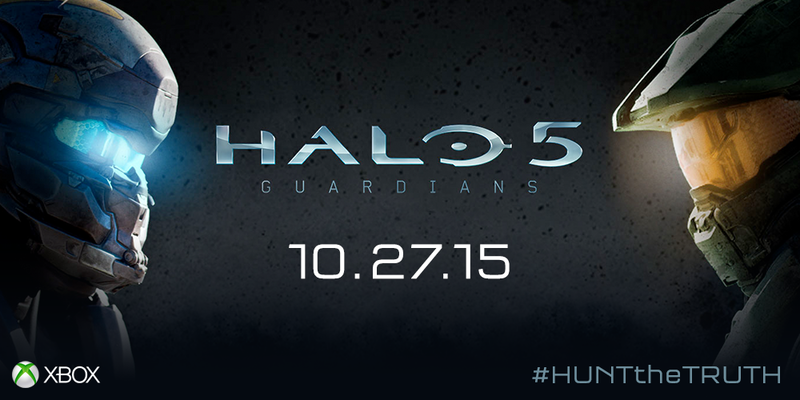 Halo 5: Guardians launches October 27th, 2015, only on the Xbox One.